More than 78,000 people have signed a change.org petition to create a law that would hold zoo visitors liable if an endangered animal is harmed or killed due to negligence of visitors. The petition for 'Harambe's Law' specifically mentions zoo visitors - both parents and children - as parties responsible for animals' safety. 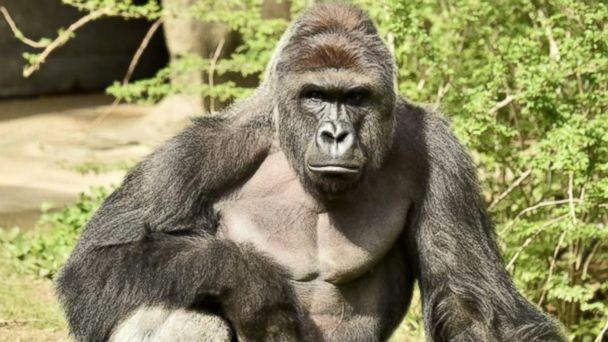 The petition is named after a 17-year-old silverback gorilla who was shot and killed at the Cincinnati Zoo after a 4-year-old boy fell into the animal's enclosure. Video obtained by ABC News shows the gorilla dragging the small boy through the water in the enclosure, and the zoo said that the fire department reported that "the gorilla was violently dragging and throwing the child." However, a witness claims the gorilla was not "hurting" the boy, but instead seemed to be "protecting him." Protests have been growing at the zoo since the Dangerous Animal Response Team killed Harambe. However, zoo officials are standing by their decision. Another petition, blaming the child's parents for neglect and calling for them to be investigated has drawn more than 225,000 supporters.